En-Wall significantly reduces wall vibration, projects more clear sound into the room and reduces unwanted noise transfer through 4" walls. Dishwashers, air conditioners, duct work and piping create irritating noise problems that keep you from enjoying music, movies and everyday family life. 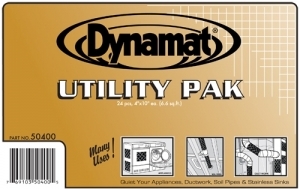 All these items are made from sheet metal and can be made quiet with an application of Dynamat. 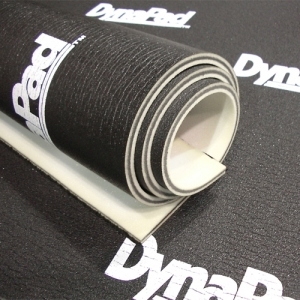 Dynil is a dense, ultra-pliable acoustic barrier that reduces sound transmission through walls, floors and ceilings. 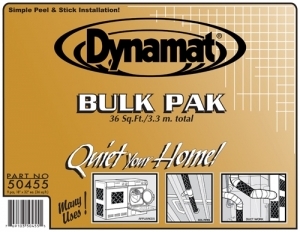 It works to prevent unwanted noise transfer outside the room while creating an optimal acoustic environment in the room. En-Wall significantly reduces wall vibration, projects more clear sound into the room and reduces unwanted noise transfer through 6" walls.